UFO SIGHTINGS DAILY: Glowing UFO Over Manhattan, New York On Sept 14, 2015, UFO Sighting News. 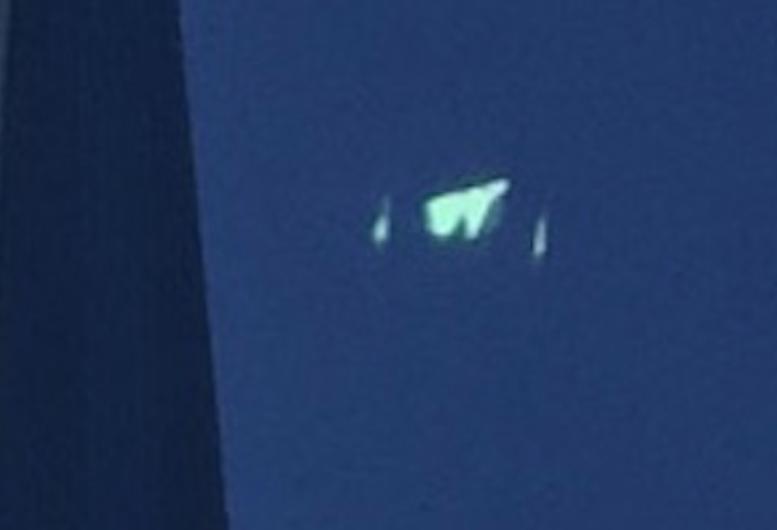 Glowing UFO Over Manhattan, New York On Sept 14, 2015, UFO Sighting News. 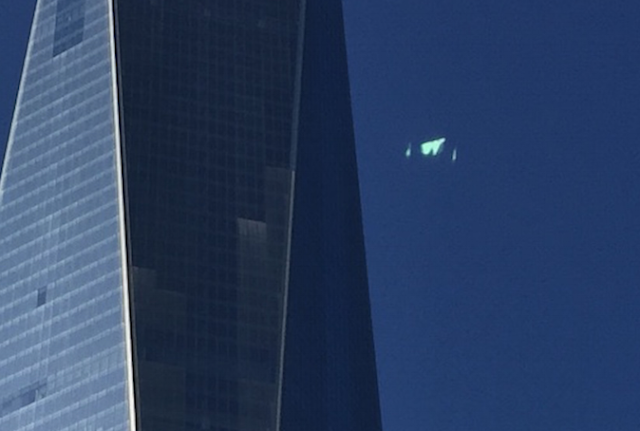 Here is an interesting sighting over the Freedom Tower. A glowing object that is equally balanced in shape on both its right and left sides. The ship in near the upper most part of the building. I'm am surprised that someone saw it at all. I heard people in big cities never look up. I wish to submit this picture my friend, who wishes to remain anonymous, too when he was having lunch in September of 2015 outside in New York City. 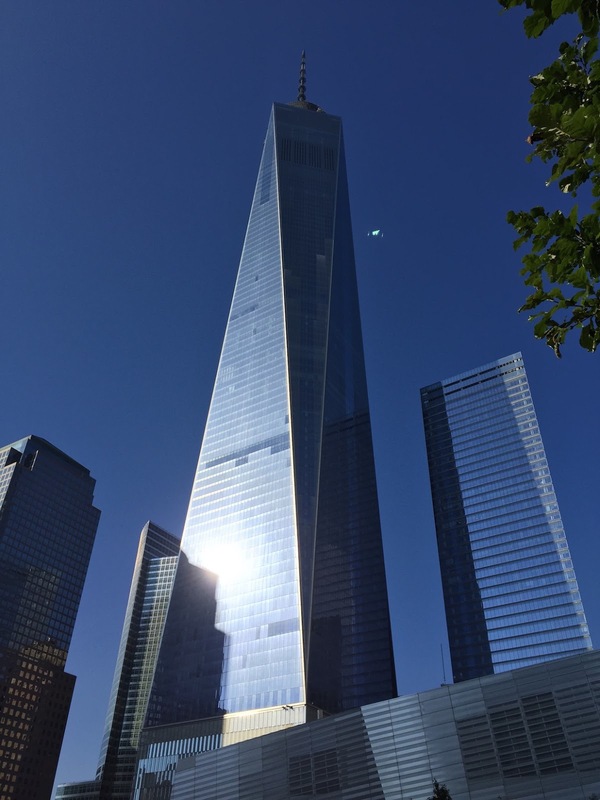 He looked up and saw a bright green glow to the right of the top of the Freedom Tower. After wiping his eyes and shaking his head as he thought he was seeing a glare, he noticed the craft was still there and took a picture. I'd like to see if Mufon can analyze the picture to find out if its a craft used for time travel or inter planetary/dimensional travel.